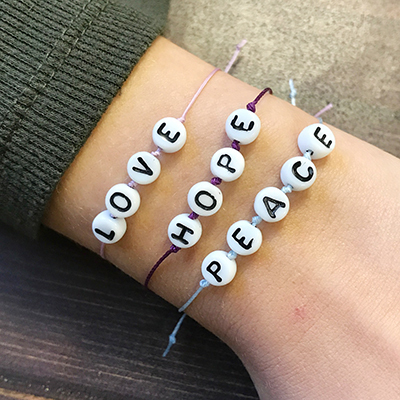 Use our letter charms to make cute Macramé bracelets! 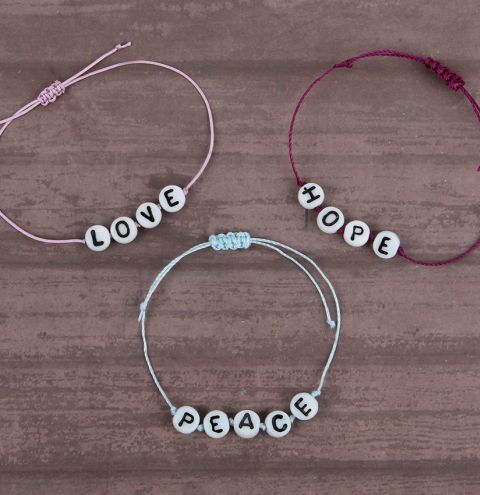 You could spell out your friend's name or make lovely little messages for them. See more colours of S-LON cord. Cut a 30 cm (12in) length of cord. Find the middle and tie a knot. 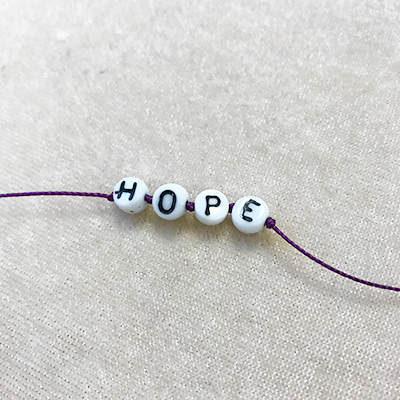 String on your letter beads with knots in between. Finish with a knot. TIP: To accurately position your knot, insert a pin into the loop and slide the pin where you want the knot to sit. Take the 2 ends of the cords, lay them side by side. Cut another 30cm of thread, tie it to the centre of your two cords and then do a macramé braid for your sliding knot. 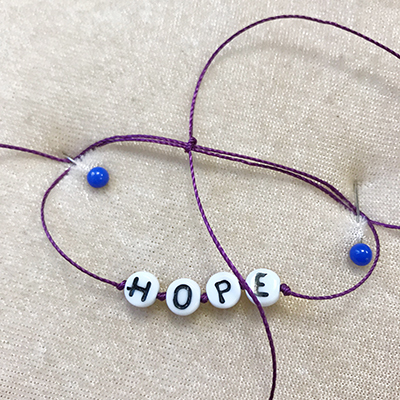 Watch this video tutorial if you need further help with Macrame square knotting. Take your right hand cord and pass it over the middle two cords. This completes 1 square knot. Repeat until you have 1 cm of braid. 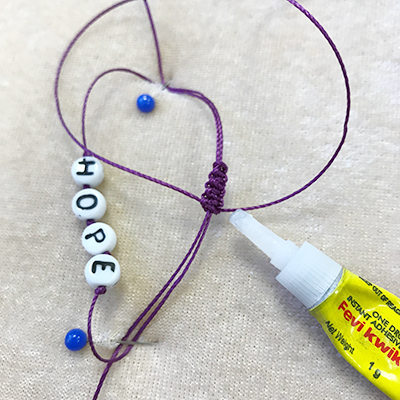 Secure the ends with a drop of glue, being careful not to glue the sliding knot to the centre cords running through it (otherwise it will not be able to slide and adjust). Try gently pulling the centre cords through the sliding knot while the glue dries. Tie a knot approx 1 in away from the knot and trim the ends.